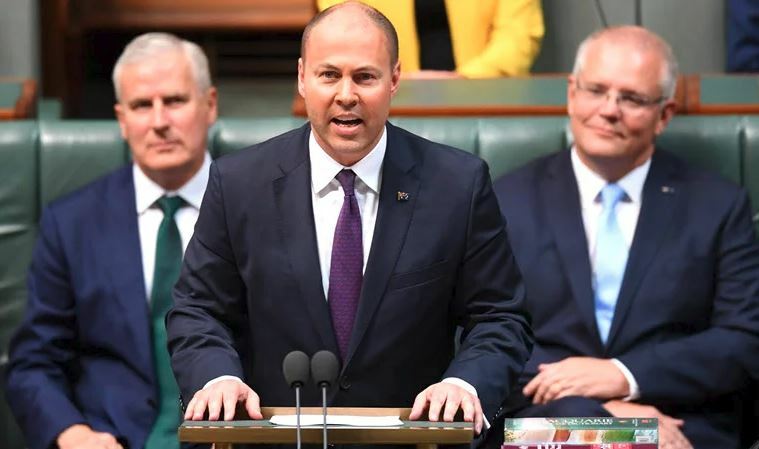 On Tuesday, 2 April 2019, Treasurer Josh Frydenberg handed down his first Federal Budget. 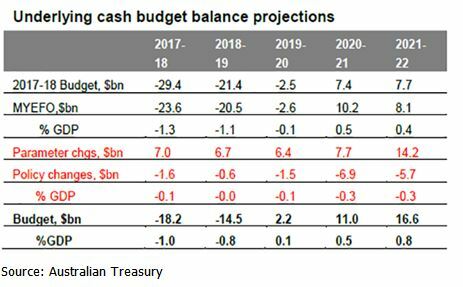 In an election Budget, the Treasurer announced the first Budget surplus in more than a decade at $7.1 billion for the 2019-20 financial year. 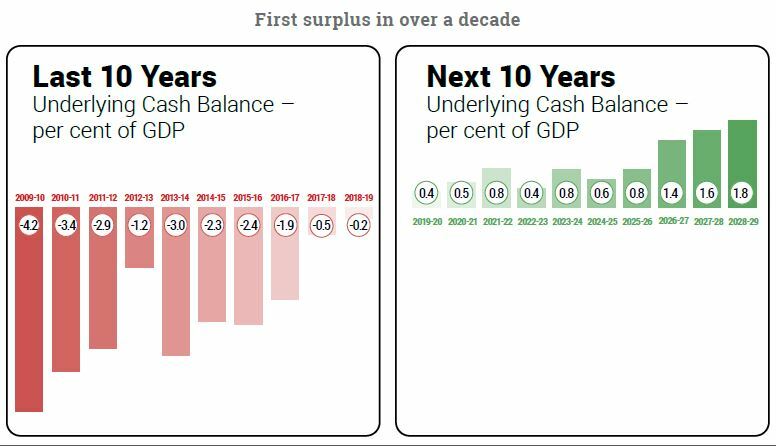 The Government forecasts a total of $45 billion of surpluses over the next 4 years. Total revenue for 2019-20 is expected to be $513.8 billion, an increase of 3.6% on estimated revenue in 2018-19. 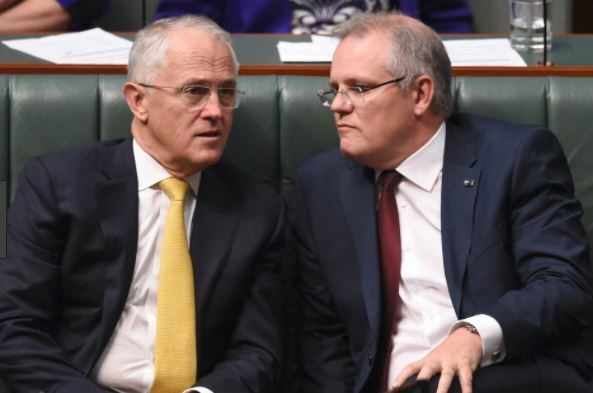 In the next few days, Prime Minister Scott Morrison is expected to announce an election date of either Saturday 11 or 18 May 2019. This Budget is unique because of its close timing to the election for two reasons. Firstly, the Liberal Government is unlikely to be able to legislate any of the measures announced prior to the election, so many of the proposals and tax incentives discussed in this analysis may not come to fruition. Secondly, the Morrison Government also announced $3.2 billion in Budget expense measures under the heading “decisions taken but not yet announced”. 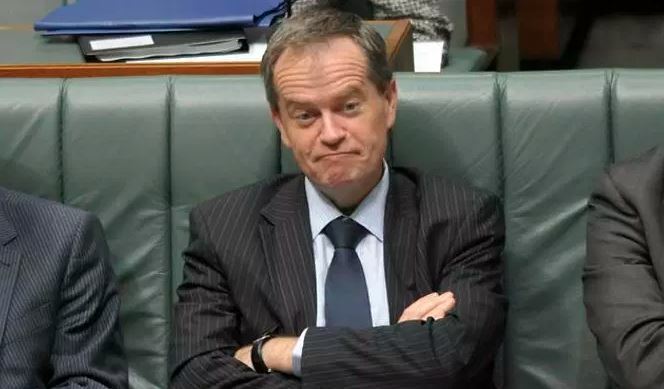 Therefore, expect to see some further ‘sweeteners’ announced prior to election day as the Coalition tries to win some ground back on the polls. This places the current Government distinctly apart from the Australian Labor Party which has a superannuation policy platform that will negatively impact many retirees because of the proposed changes to remove excess franking credit refunds, and restrict super contributions. In addition, Labor has also proposed that if elected, they will remove the tax deductions for negative gearing when investing in property (except for new build houses), and reduce the Capital Gains Tax (CGT) discount to 25%. 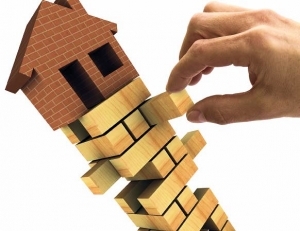 Concerns are that this could contribute to a slowdown in the Australian economy, put further downward pressure on property prices, and create a negative wealth effect overall. 1. More than doubling the low & middle income tax offset (LMITO) up to $1,080 from 2018-19. The Government will further reduce taxes for low and middle-income earners to ease cost of living pressures and support consumption growth. Low and middle-income earners will have their tax reduced by up to $1,080 for single earners or up to $2,160 for dual income families, after lodging their tax returns as early as 1 July 2019. Taxpayers earning up to $126,000 a year will receive this tax cut. The Government will preserve the tax relief provided by the larger low and middle income tax offset by increasing the top threshold of the 19 per cent tax bracket from $41,000 to $45,000 and increasing the low income tax offset (LITO) from $645 to $700. 2. Lowering the 32.5% tax rate to 30% from 1 July 2024. The Government will reduce the 32.5 per cent tax rate to 30 per cent, more closely aligning the middle tax bracket with corporate tax rates. 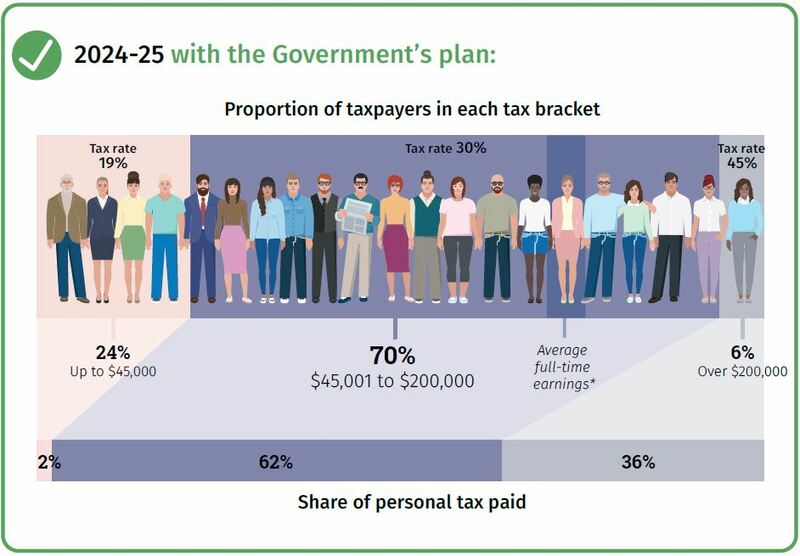 This will cover around 13.3 million taxpayers earning between $45,000 and $200,000 and will mean that 94% of taxpayers are projected to face a marginal rate of 30 per cent or less. * Average full-time earnings includes both males and females, and excludes earnings from overnight work. While the Medicare levy remains unchanged at 2% of taxable income, the thresholds for low-income singles, families, and seniors and pensioners will increase in the 2018–19 income year. On Small Business tax, the Government has proposed to increase the instant asset write-off threshold to $30,000 until 30 June 2020. The threshold applies on a per asset basis, so eligible businesses can instantly write off multiple assets. This builds on the Government’s earlier announcement that the instant asset write-off threshold would be increased from $20,000 to $25,000 and extended to 30 June 2020. 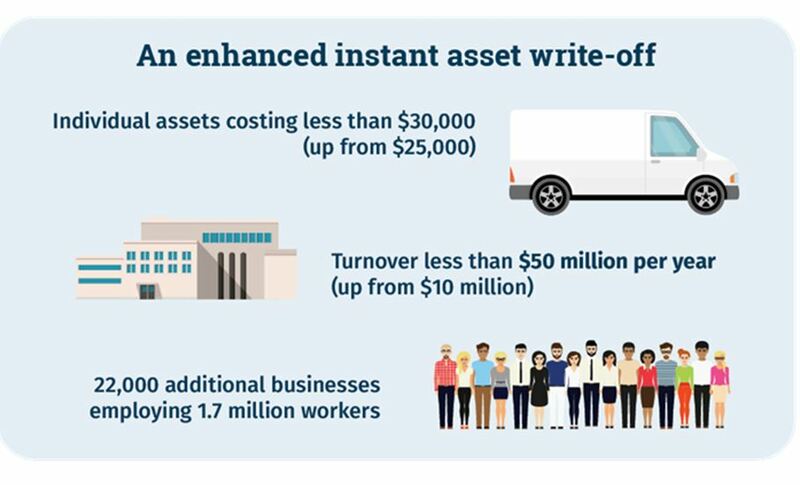 More than 350,000 businesses have already taken advantage of the instant asset write‑off. The Government is also expanding access to the instant asset write-off to include medium‑sized businesses by increasing the annual turnover threshold from $10 million to $50 million. 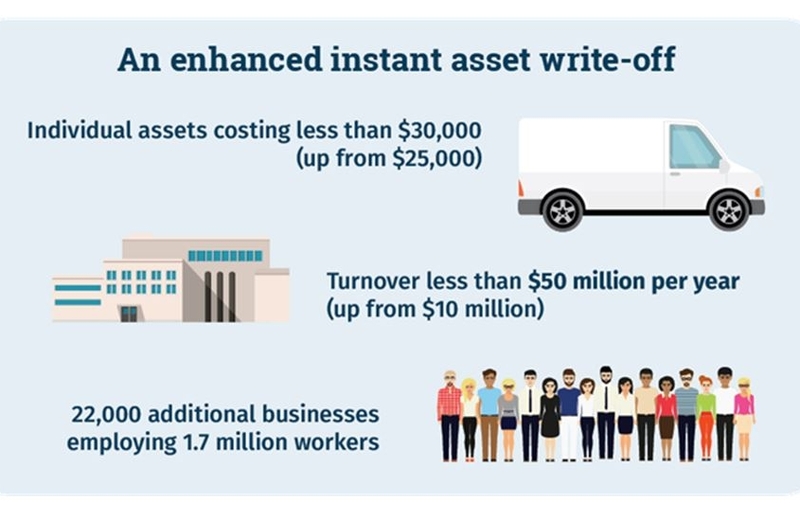 Around 22,000 additional businesses employing around 1.7 million workers will now be eligible to access the instant asset write-off. These changes will benefit small and medium‑sized businesses and improve their cash flow as they will be able to immediately deduct purchases of eligible assets each costing less than $30,000. Around 3.4 million businesses, employing around 7.7 million workers will be eligible. If legislated, the increased threshold and expanded eligibility will apply from 7.30pm (AEDT) on 2 April 2019 to 30 June 2020. The work test will no longer need to be met to make voluntary contributions to superannuation from 1 July 2020 for those aged 65 and 66. The ability to utilise the bring-forward rule will also be amended to allow individuals less than age 67 to contribute a greater amount to superannuation. This means the work test requirements will align with Age Pension age which will be 67 from 1 July 2023. There is no change to other criteria, such as the total superannuation balance, which will limit the ability to make non-concessional contributions. Transfer foreign superannuation into an Australian superannuation account. The age limit for spouse contributions will increase to 74. Currently spouse contribution can only be made if the receiving spouse is under age 70. Additional flexibility will be provided by the removal of the work test for those aged 65 and 66. This would enable spouse contributions to be made for the receiving spouse without the need to satisfy the work test up to age 66. From age 67 to 74, the work test would need to be satisfied by the receiving spouse. Making spouse contributions is a simple strategy that enables that spouse’s superannuation to be boosted. This may be used as a means of equalising the superannuation interests of both members of the couple. It may also entitle the contributing spouse access to the spouse contribution tax offset. Part of the Government’s Protecting Super Package included the provision of insurance in superannuation on an opt-in basis for accounts with balances of less than $6,000 and for members under age 25. The original start date for this was 1 July 2019, however it has been deferred until 1 October 2019. Trustees of superannuation funds will be able to choose the method they use to calculate exempt current pension income (ECPI) for funds with members in both pension and accumulation phases. The requirement for superannuation funds to obtain an actuarial certificate to calculate ECPI under the proportionate method when all the members are in retirement phase will be removed. This measure would be primarily of interest to Self Managed Super Fund (SMSF) trustees. The payment will be tax free and not counted as income for social security purposes. Former spouses and former de-facto partners of veterans will be able to access the Partner Service Pension when they separate from their veteran partner. The budget includes a record $100 billion in funding for road and rail projects around the country over the next decade. The Government announced that it will provide $36.4 million over 5 years from 2018-19 to extend Family Tax Benefit (FTB) eligibility to the families of ABSTUDY (secondary) student recipients who are aged 16 years and over, and are required to live away from home to attend school. The Government will provide $1.0bn over 4 years from 2019-20 to the ATO to extend the operation of the Tax Avoidance Taskforce and to expand the Taskforce’s programs and market coverage. The Government has also provided $24.2m in 2018-19 to Treasury to conduct a communications campaign focused on improving the integrity of the Australian tax system. The exemption will apply where the grants relate to the monsoonal trough, which produced flooding that started on or after 25 January 2019 and continued into February 2019. The grants will be non-assessable non-exempt income for tax purposes. The Government will provide an income tax exemption to primary producers in the Fassifern Valley, Queensland affected by storm damage in October 2018. The tax exemption relates to payments distributed to affected taxpayers through a grant totalling $1.0 million to the Foundation for Rural and Regional Renewal, working with the Salvation Army and a local community panel. 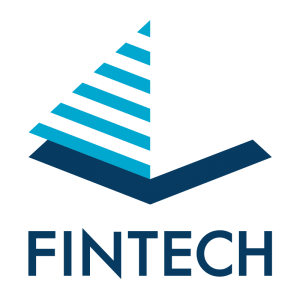 Principal of Fintech, Grant Chapman delivers his Christmas message to Fintech clients and followers. Includes a short recap of the year it was, a few little updates, insights and a message of thanks & hope to everyone this holiday season. World financial markets swung wildly yesterday afternoon as Donald Trump stunned the world and headed for victory over Hillary Clinton to secure the top job at the White House. A gracious tone in the first speech by US President elect Trump had a calming effect on the markets, and there was a surprisingly fast recovery following initial sell-offs. Trump congratulated his Democratic rival, saying that Hillary Clinton waged “a very very hard-fought campaign”. He also commended her for having “worked very long and very hard” over her political career. “Now it’s time for America to bind the wounds of division – to get together,” he said. “To all Republicans and Democrats and independents across this nation, I say it is time for us to come together as one united people”. Trump, who had been criticised by opponents for rhetoric characterised as divisive and racist, pledged, “I will be president for all Americans, and this is so important to me”. The Australian sharemarket initially dropped by almost 4% but recovered to end up down 1.94% at close of trade. The US dollar and European markets also recovered from early dips as markets continued to digest Trump’s victory for the Republicans including winning control of the House and Senate. The Trump result eerily emulated the ‘Brexit’ experience in Britain earlier this year. There was a sense of complacency, surprise and panic, followed by swift recovery. In fact, it has happened more quickly this time. However, it is yet to be seen whether Trump will be a much better President than some people were expecting less than 24 hours ago, and if there are enough positives from the result including the absence of a congressional deadlock. Markets around the world will be looking for Trump’s actions to reflect the words in his victory speech, with less of the maverick behaviour that he portrayed throughout the campaign. Will Trump’s policies get traction? Trump’s policy platform lacks the cohesion of a “typical” Presidential candidate reflecting his relative isolation from the Republican Party. This is further exacerbated by the fact that he has also been both a registered Democrat and Republican voter in the past. There have also been some major shifts in policy during the campaign which makes it difficult to determine his core beliefs, although these shifts have largely been around immigration, social policies and foreign affairs. Lowering the corporate tax rate to 15% from 35%, and eliminating loopholes and deductions. Cutting the top personal income tax rate to 33% from 39.6% and simplifying personal income tax by collapsing the current seven tax brackets to three. Repealing or renegotiating trade deals including the North American Free Trade Agreement (NAFTA) between Canada, Mexico and the United States, and the Trans-pacific Partnership. Increasing tariffs on exports to the US (and leaving the World Trade Organisation if it rejects the proposal). Replacing the Affordable Care Act (Obamacare) with a more market-based health insurance system. The Mexican Peso has fallen almost 12% hitting at a record low. This is not so much reflecting Trump’s threat to “build a wall” along the border between Mexico and the US, but rather his intention to slap a tariff of 35 per cent on Mexico’s exports to the US. 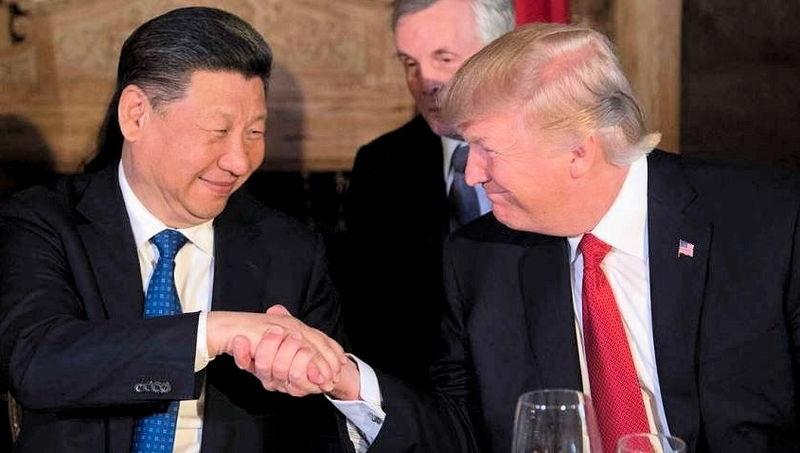 Trump’s promise to launch a trade war against China, by declaring it a “currency manipulator”. He’s also threatened to impose tariffs of up to 45 per cent on everything China exports to the United States, something he can do under existing legislation. 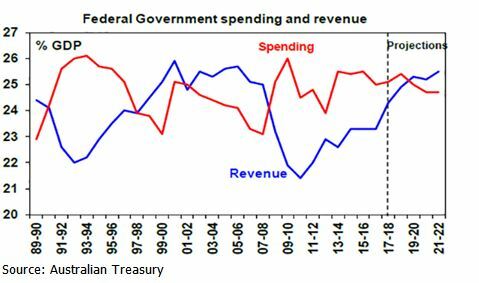 Trump’s fiscal policies will add significantly to the US budget deficit and US public debt, potentially leading to higher long term US interest rates (which would in turn be negative for stock prices). Trump’s repeated personal attacks on US Federal Reserve Chair Janet Yellen and the call to “audit the Fed” threaten to undermine market confidence in the Federal Reserve. President Trump will have the ability, almost immediately upon taking office, to reshape the Fed by filling the two vacancies on the Federal Reserve Board. Previously replacements for the board have been blocked by the Republican-controlled Senate in the outgoing Congress. The US economy is in reasonably good shape, with unemployment still low and growth rising in the last quarter. Real economic growth has picked up in recent months while the unemployment rate, at 4.9%, is close to any economist’s definition of full employment. S&P500 earnings have rebounded smartly from the oil & dollar induced slump of 2015 and inflation is still moderate. The global economy is also showing signs of life with the global manufacturing PMI index hitting a two year high in October. All of this, absent political uncertainty, would be positive for stocks and negative for bonds. While ongoing uncertainty associated with the Trump presidency is likely to put a hand brake on equities markets, there is a concern that if passed, the combination of tax cuts and trade policies would see US budget deficits increase and the economy hurt by retaliatory trade actions. 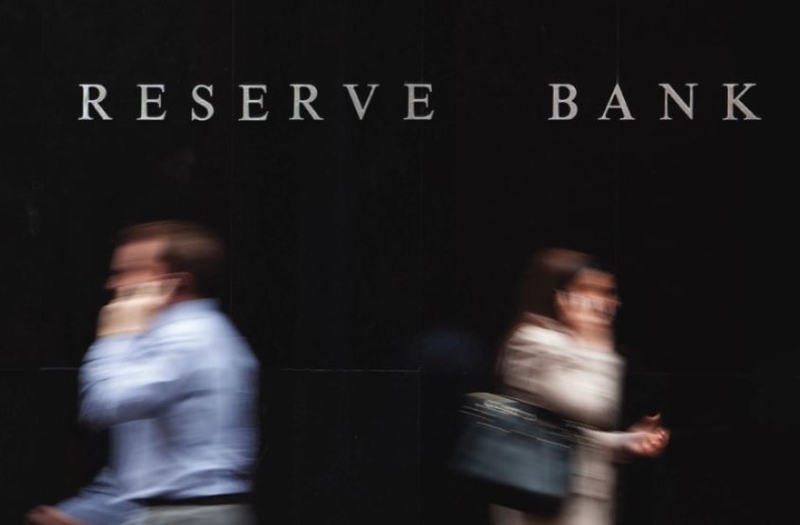 In the short-term, the US Federal Reserve is likely to delay interest rate increases including the potential December hike, in response to the renewed uncertainty. However, in the longer term, deterioration in the deficit and higher inflation would likely see bond yields rise. Your Integrated Financial Solutions investment portfolios reduce risk by utilising market leading research to identify high quality stocks that are diversifying across asset classes, regions and sectors in line with your risk profile. To maximise your long returns, your portfolio is designed to deal with short term equities volatility that comes with geopolitical and other risks such as a the Trump Presidency result. This removes the need for panic sell-downs and mis-timed portfolio changes after markets have already fallen, crystalising losses. A well-diversified mix of highly researched, quality companies and stocks will benefit from market bounce backs that follow sharp declines over time. Please contact our office if you would like to discuss your current investments or to take advantage of buying opportunities that arise.